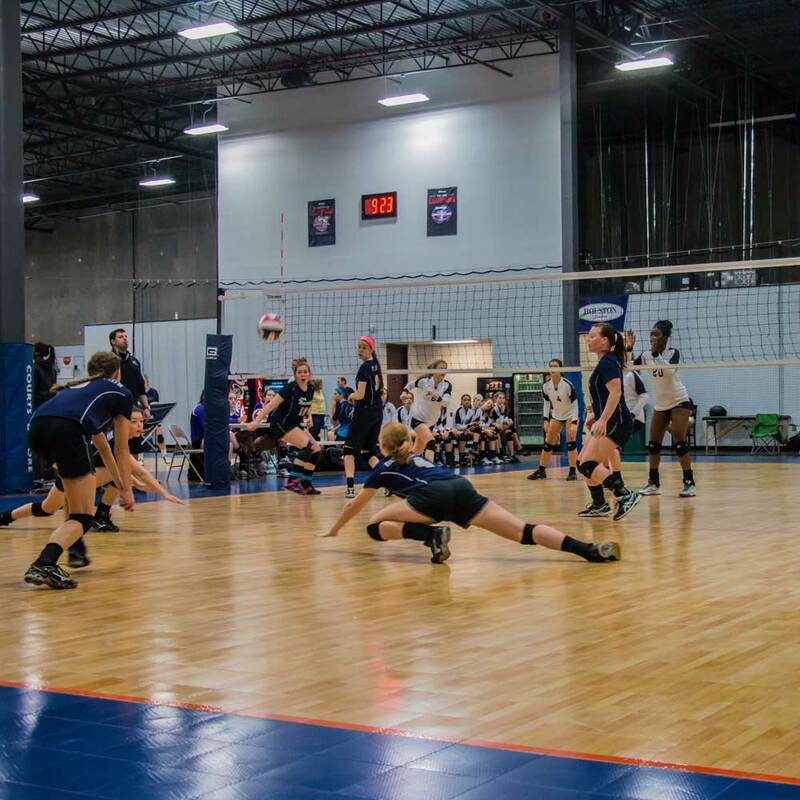 As The Official Playing Surface of the NCAA Volleyball Championships and USA Volleyball National Teams, our flooring is tested by champions. We provide superior performance, optimal traction and shock absorption for athletes of any level. Save money with low life-cycle costs. 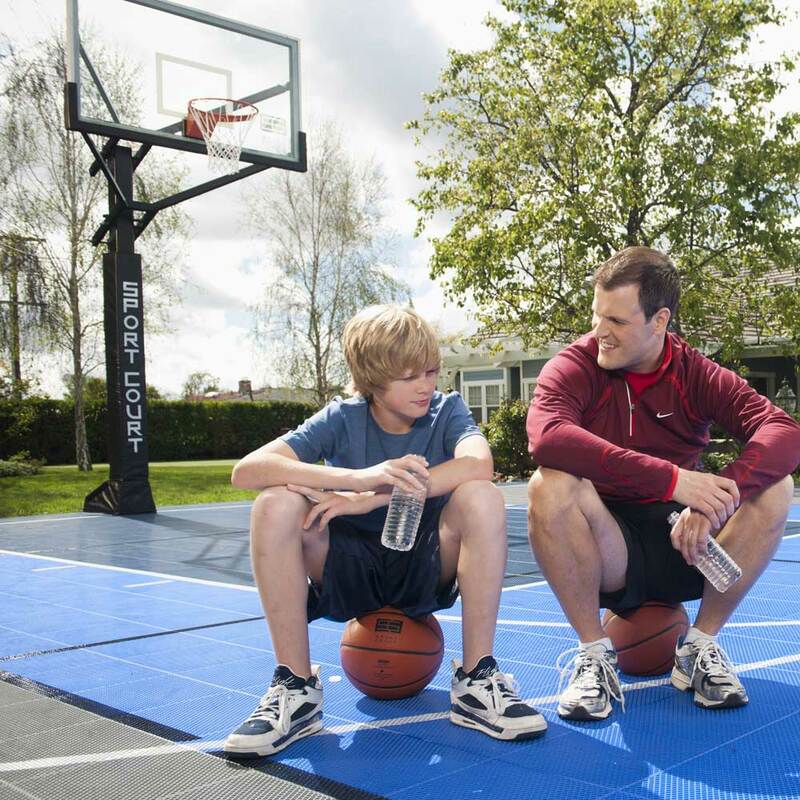 We can install your court in as little as 3 days. With a Maple Select surface, you might even believe that you’re on an actual hardwood court. This surface is not only easy-to-clean and low-maintenance, but because it’s so durable, you’ll save money in the long run. 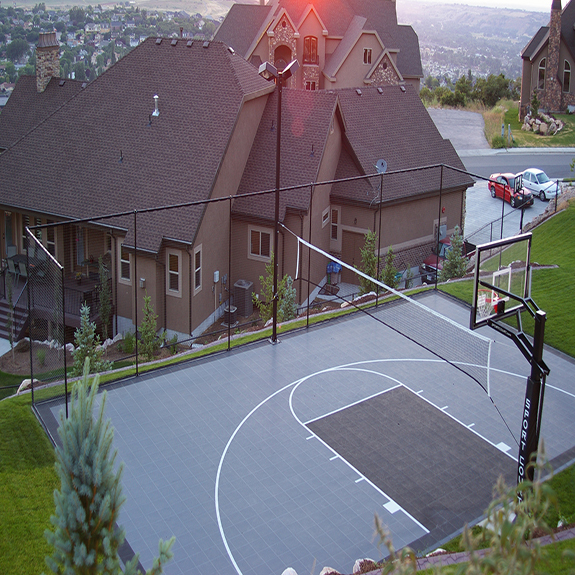 Feel like you’ve got a brand new court, no matter how long you’ve owned it. 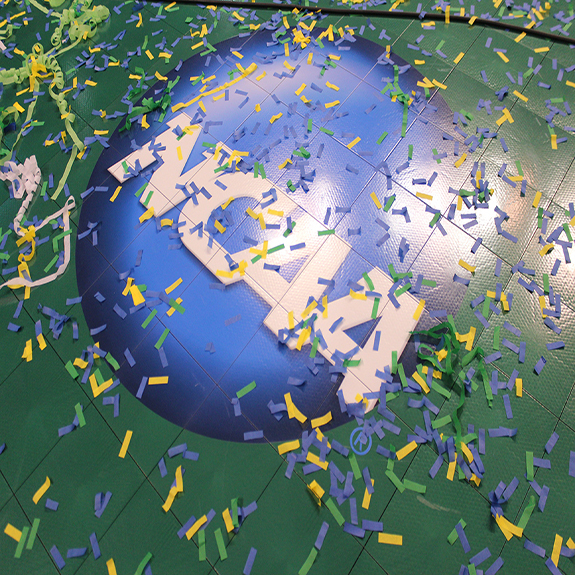 Customize your floor with Response™. Give your athletes improved shock absorption so they can perform at their highest levels and keep playing longer while the safety of built in Lateral Forgiveness ™ and improved resilience, customized for your sport. Response is specially formulated to cover aging floors. With Response you avoid potentially large abatement costs and possible exposure to hazardous materials that come from replacing old worn-out floors. Response is engineered with Lateral Forgiveness for reducing joint strain and improved traction and ball response. Defense™ is a best in class performer for all kinds of activity. 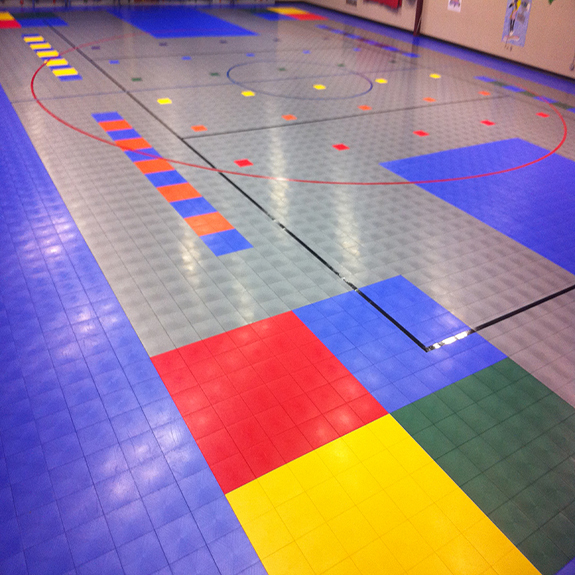 With comfortable surface for active play this low cost solution makes it an excellent surface for elementary and middle school gyms and activity centers. Quick install will help you get your facility back in play as soon as possible. 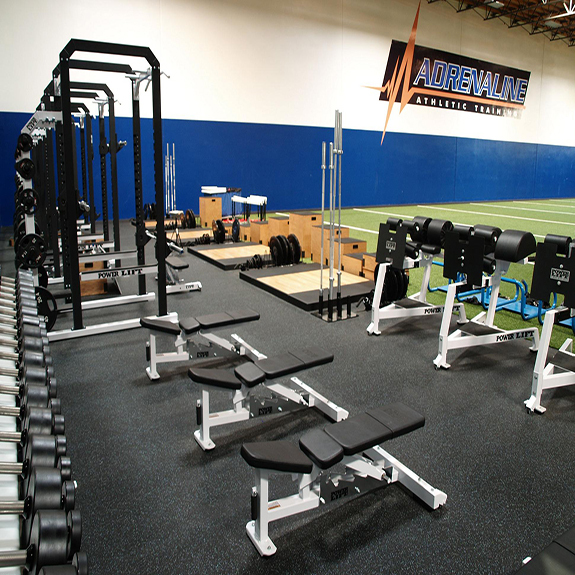 Rubber flooring, created from recycled materials, is a durable, multi-purpose, all black surface for fitness equipment and weight training. Whether you’re looking for a mat, interlocking mat or roll, you can find any size between 3/8” and 3/4” thickness. Whether you commit to gluing down your floor or free laying it, this surface has numerous applications. 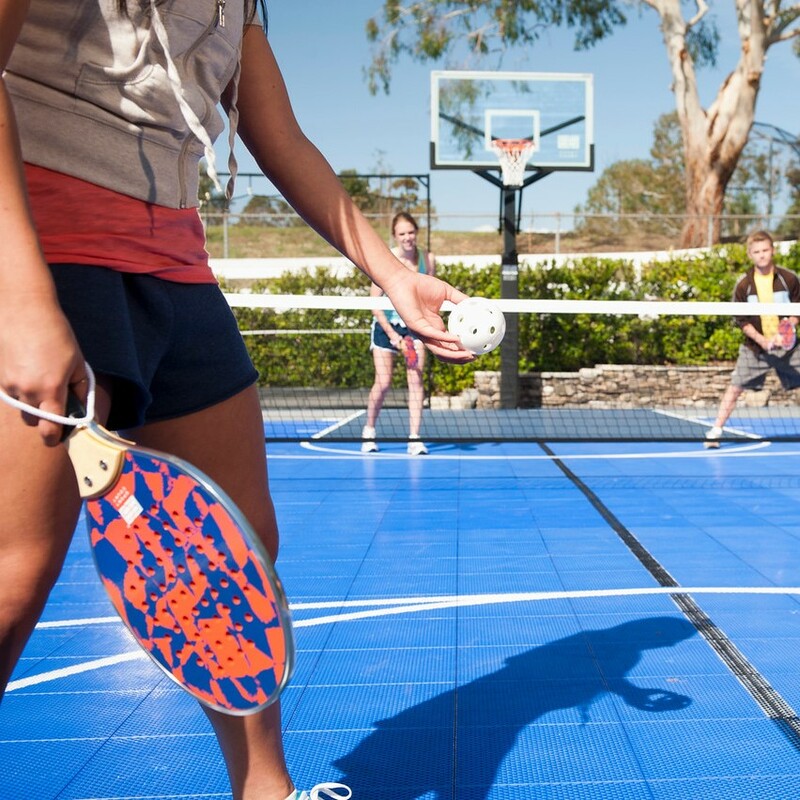 With the lowest skin abrasion of any outdoor court surface and the highest quality materials and UV stabilizers, a PowerGame™ will be your choice for the safest outdoor court in the world. If your family experiences joint strain and fatigue, play longer and safer than ever with our patented Double-Tier shock absorbing grid and Lateral Forgiveness. You want multi-sport play, and with the advanced athletic surface technology, SportGame™ can give you that. With a Patent-Pending design, you get excellent traction and low abrasion safe play without sacrificing ball bounce and response. 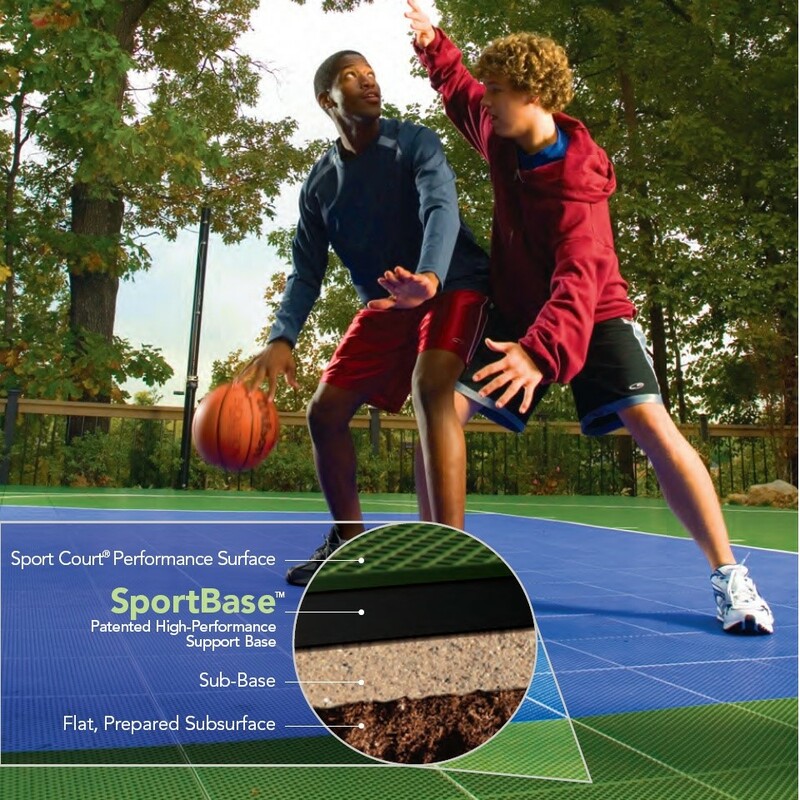 SportBase™ is made from 100% recycled material and specifically created for use under a Game Court system. SportBase™ proves that it’s what’s underneath that counts. With the title of the safest outdoor court in the world, if you’re looking for high quality materials and low skin abrasion, the PowerGame™ is the court for you. As the Official Modular Surface of the USTA and Pop Tennis, this court eliminates the need for resurfacing. You have a family of racquet sport players and you want a surface that will help reduce your joint stress and fatigue. 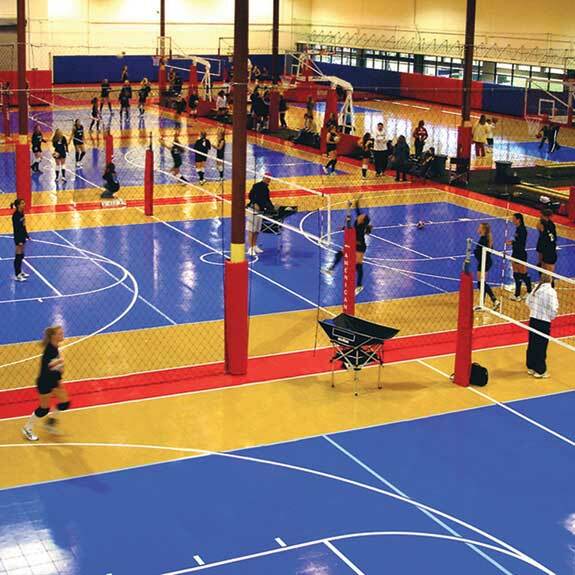 SportDeck™ retrofits on top of most hard surfaces and will last longer than conventional acrylic courts. For nearly 20 years, this surface has held the title of the most reliable in outdoor surfaces. You want the best in performance and safety, you need a Sport Court hoop system. 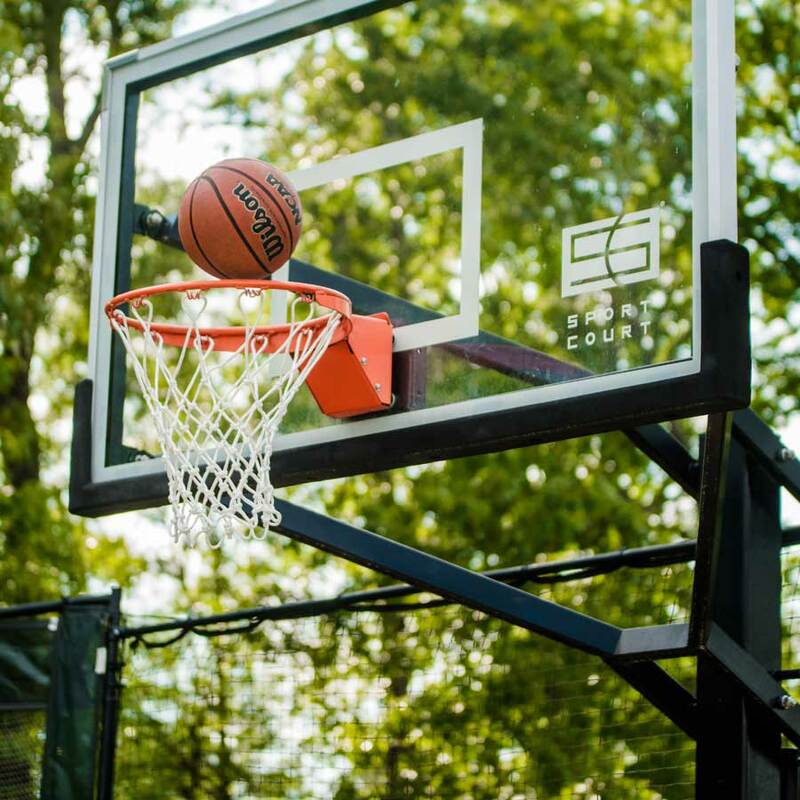 With corrosion protection and the ability to adjust height for players of all ages, these tempered glass backboards give you pro-level rebounds. You shouldn’t have to get off your court when the sun goes down. 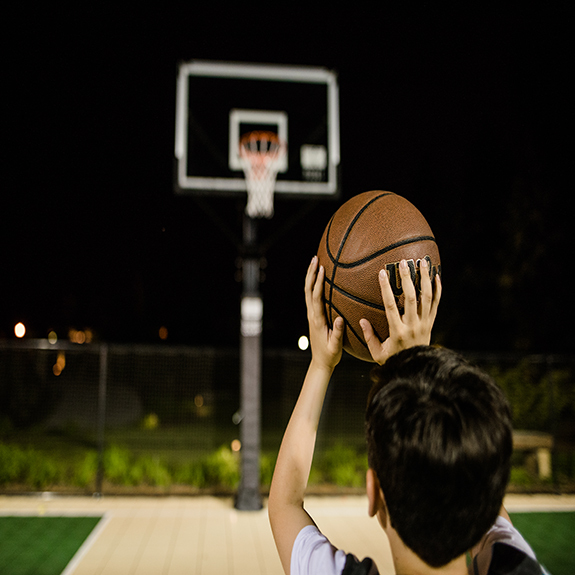 With a Sport Court Light System, you won’t have to. With single or double headed light solutions, you can play safely beyond the sunset. This form of ball containment lets practice opportunities for soccer, tennis, baseball and basketball while not wasting time chasing after your ball. 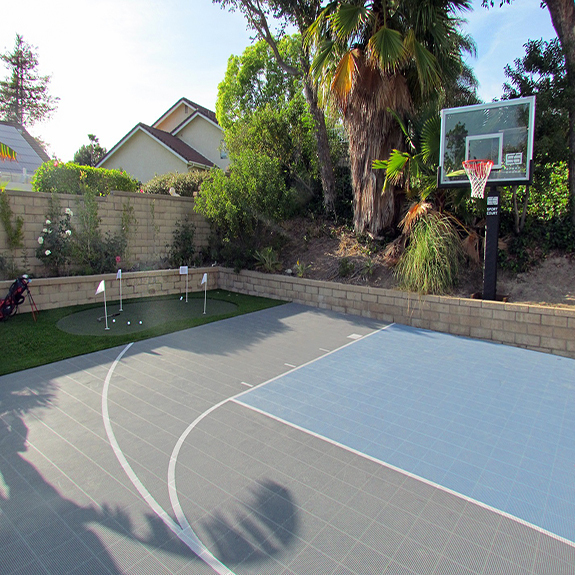 With both a 10x10 and 10x20 option, your local CourtBuilder can easily incorporate this feature into your design. 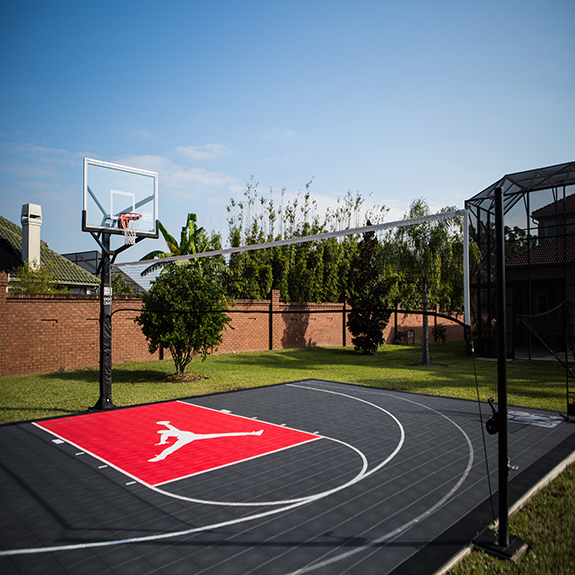 Keep the ball on the court with our Sport Court ball Containment system. 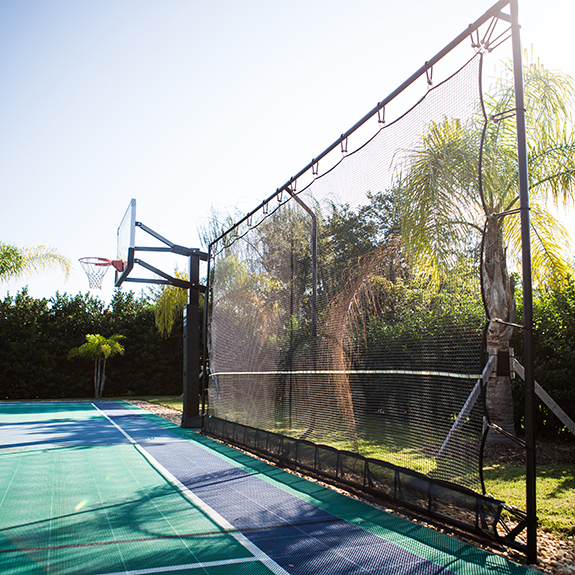 A unique option to utilize soft-fence netting, your court will have attractive protection for years to come. These temporary structures will cost less than your permanent chain-link and other fencing options. Never miss a serve by adjusting to any size. Our simple pulley and crank systems allow you to switch back and forth between tennis and volleyball in a matter of minutes. Multi-sports options will allow you to fulfill any of your gaming needs. 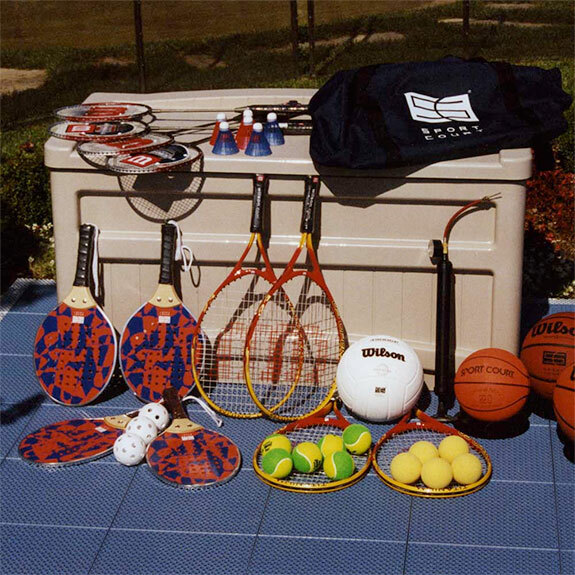 Sport Court Massachusetts offers Sport Court® Fun Packs. They provide you with a wide range of the highest-quality balls, racquets and other gear – everything you need for maximum enjoyment of your backyard court. 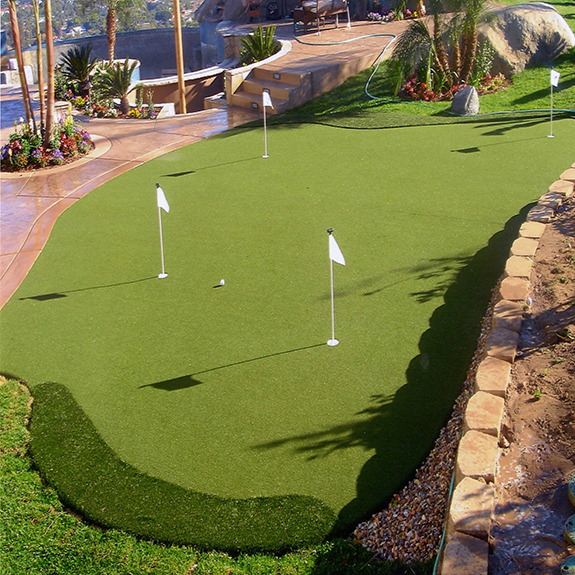 You want the look and feel of a golf court without having to leave the comfort of your home. Create your favorite design to practice and improve all areas of your game. Do you dream of having a professional batting cage installed in your backyard? 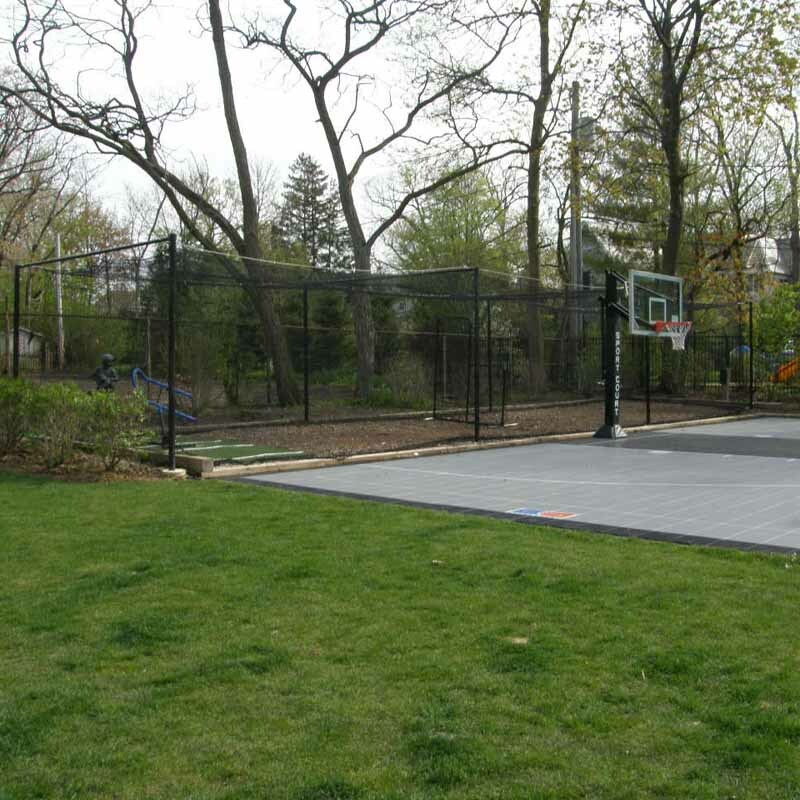 A backyard multi-sport game court is a terrific place to install your own batting cage. Sport Court Massachusetts will install a professional batting cage that has netting custom-built to your dimensions and specifications. Contact us today for a friendly consultation or on-site estimate.